Grow dragons and protect your village in DreamWorks' Dragons Rise of Berk hack with infinite Runes. Build your very own island village and train various dragons with different abilities to fight off the mysterious strangers threatening your Berk. Almost all characters from the movie which the game is based on are present. 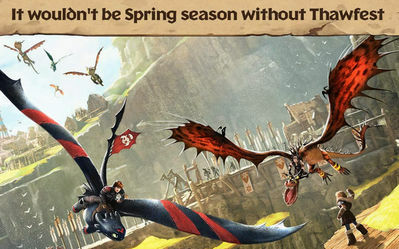 You've got all of DreamWorks Dragons including Toothless, Stormfly, Hookfang and Skullcrusher. Players can also collect and grow up to 200 other Dragon species. 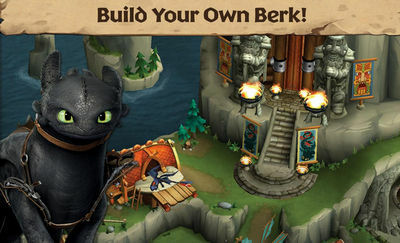 Dragons Rise of Berk unlimited runes apk is here to help you on your journey. Runes are the currency of the game and having them ensures your successful completion of missions. Modder's note: You get a lot of initial Runes (You can use them to buy fish and wood). Install v1.32.17 APK, Download data files ingame and play online. Can you mod Dragon Story and Sim City Build It? Those two I've been looking for mods for quite some time. Especially Dragon Story. It seems that Dragon Story has not been modded by anybody and people quit modding Sim City Build It.